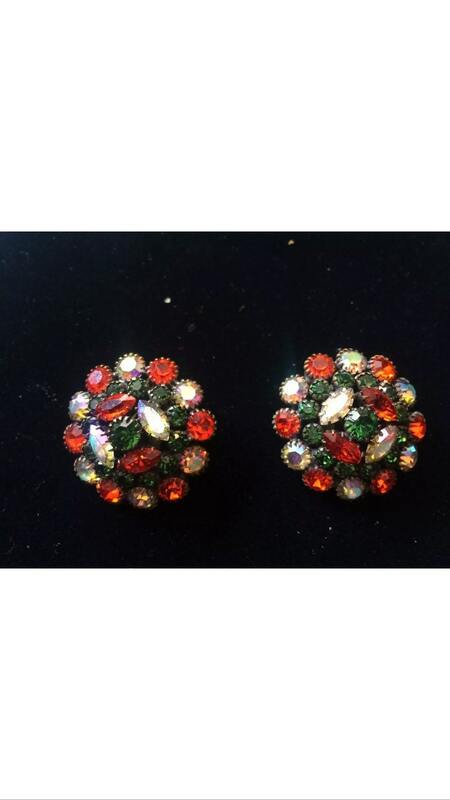 These are a tremendously festive pair of signed Kramer 50s or 60s era rhinestone clip on earrings. 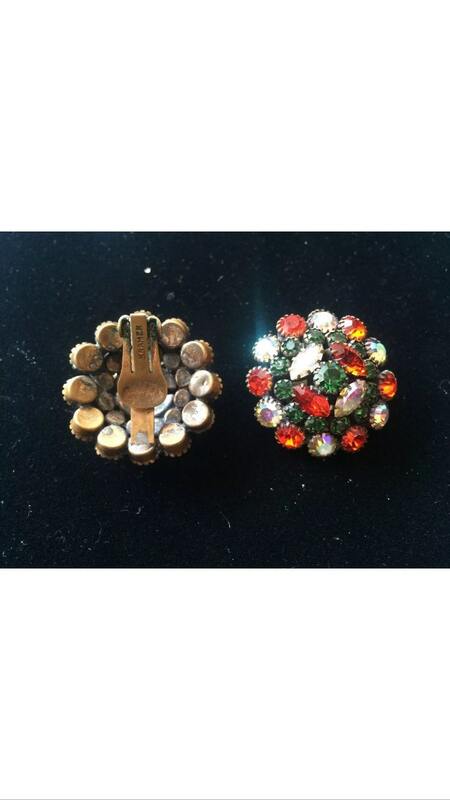 These earrings measure 1.25" in diameter. 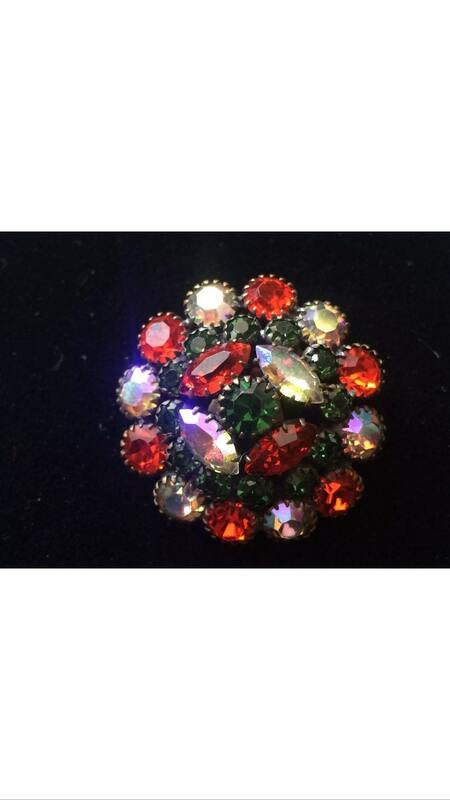 The original clips work perfectly and the stones are in overall excellent condition. Wear these stunners to your holiday event or put them on your wish list.